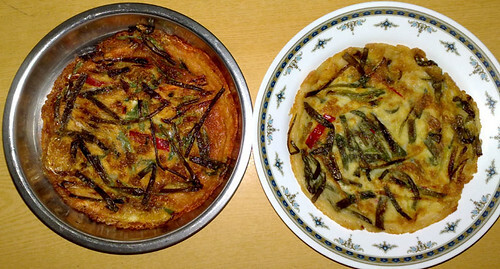 Jason Chong made kimchi (on the left) and vegetable pancake(on the right). It looks delicious especially the kimchi pancake in a stainless bowl! It looks thin and crispy!